Houston Is Flooding — Serious – 4 Inches of Rain Per Hour! – Coercion Code – "Dark Times are upon us"
Houston Is Flooding — Serious – 4 Inches of Rain Per Hour! 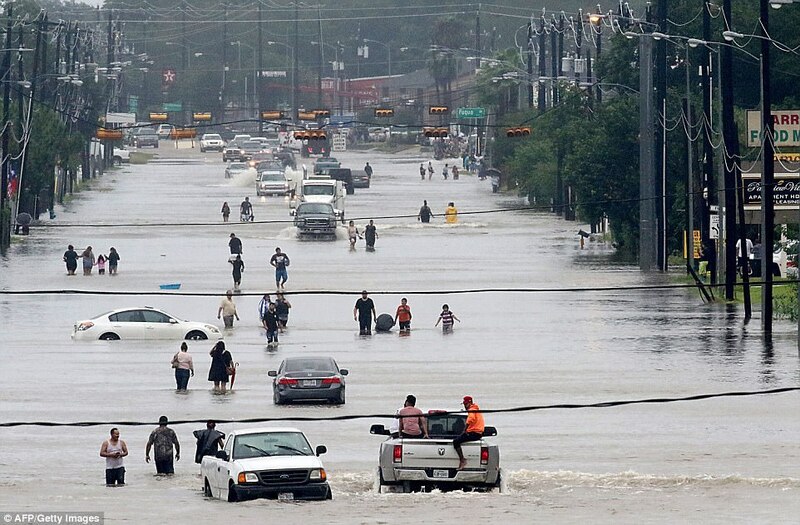 UPDATED 6:57 AM EDT, – Houston is flooding so fast and so badly, the entire city may be lost! 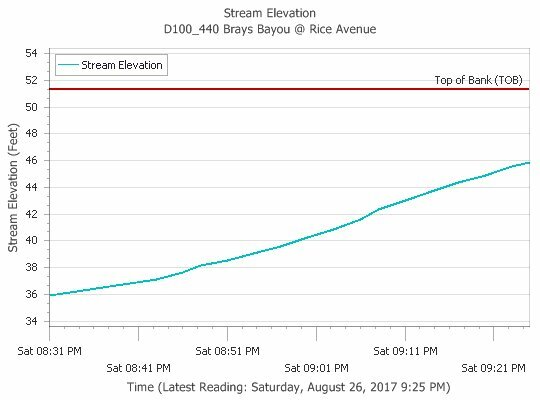 Water Level Gauges measuring the height of “Brays Bayou” a river running through south Houston, show water levels have risen TEN FEET between 8:31 and 9:21 PM Central Daylight Time as seemingly endless bands of heavy rain swirl into the city from Hurricane Harvey. Rain measurements explain what’s taking place. They show rainfall at 4.56 Inches PER HOUR! At least TWO Houston Police Precints have had to close and evacuate due to the flooding. The Houston Fire Department has so many calls, they have no additional “Swift-Water-Rescue” teams to dispatch! 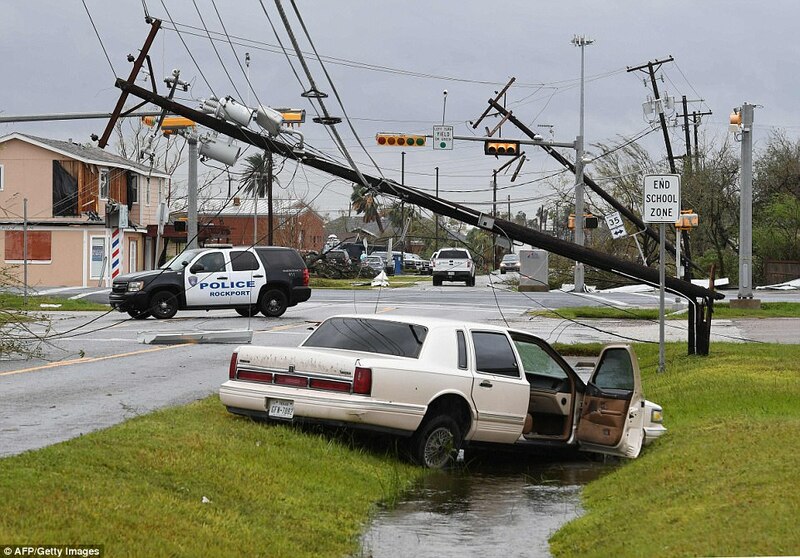 The situation in the city due to the torrential rains from Hurricane Harvey, is getting very bad, very fast. ALLIGATORS ARE IN THE STREETS! This is Downtown Houston right now: Wall-to-Wall Water. Houston and other parts of southeast Texas are experiencing “catastrophic, life-threatening flooding,” federal officials said Sunday, as Harvey, now a slow-moving tropical storm, hovers over the region, dumping rainfall. 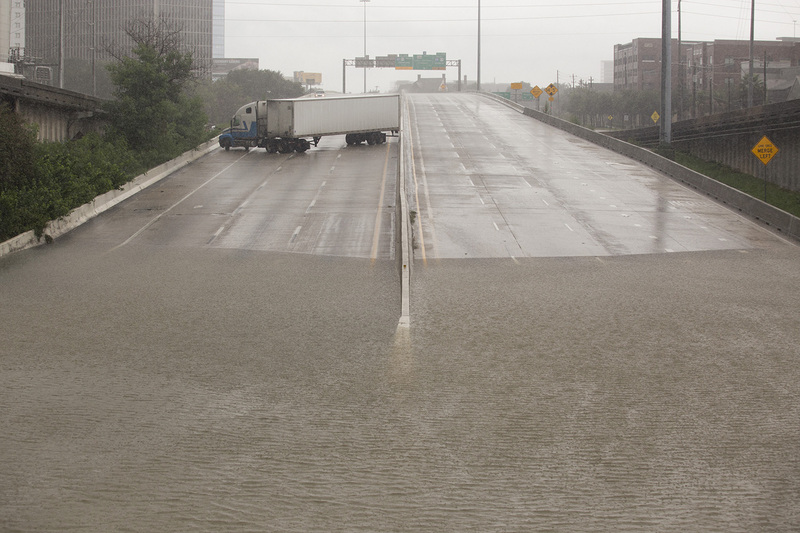 At least five people in the Houston area are dead, the Houston Chronicle reported. Many more have been stranded in homes and on rooftops, and entire stretches of freeway in the county – one of the most populous in the country – are submerged. Officials believed the first fatality to be a woman who was found dead near her car, in which she had likely been trapped during a flood, according to the Washington Post. Some parts of Texas could receive up to 50 inches of rain in the coming days, an amount that would exceed state records. 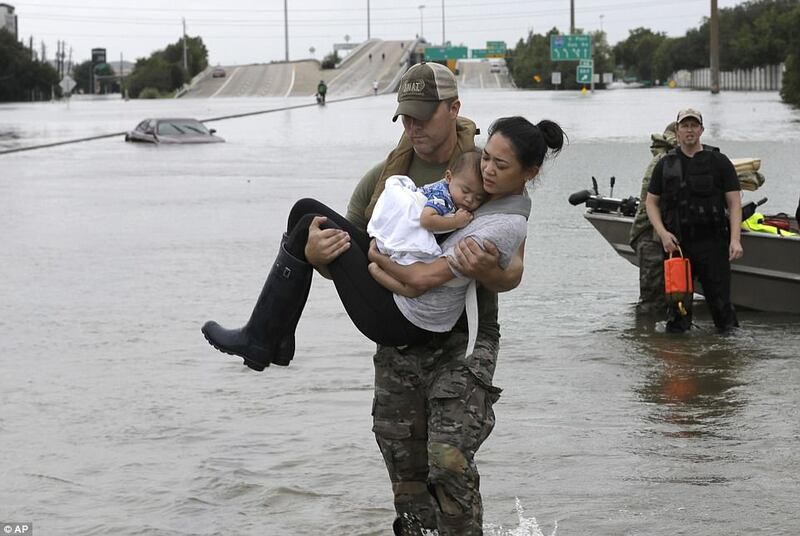 As images posted to social media showed roads inundated with water – submerging cars and covering street signs – officials in Houston and Galveston asked residents with high-water vehicles or boats to assist in rescue efforts. 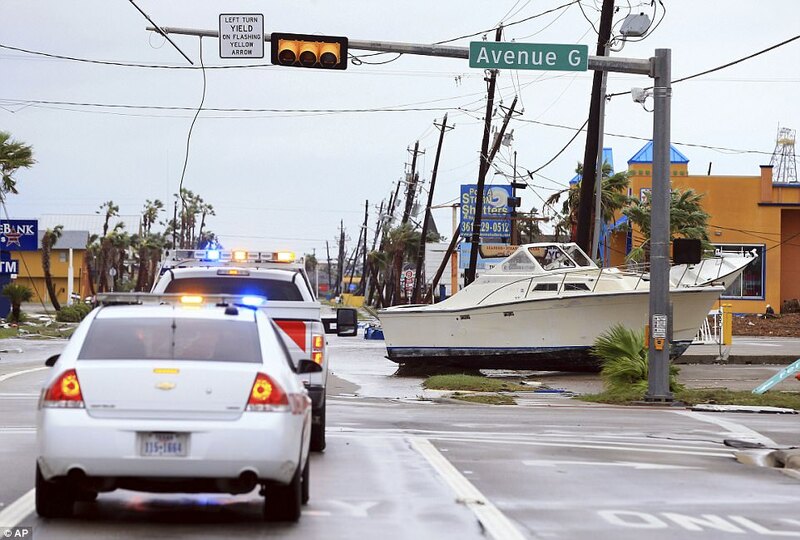 Galveston County Judge Mark Henry said in a press conference Sunday afternoon that 25 to 35 private boat owners had responded to the call, and were helping transport people to safety. The city’s official Twitter account also posted that 911 services were at capacity and to only call if in imminent danger. “We’re urging people to stay off the streets,” Gary Norman, a spokesman for Houston’s emergency management system, told the Post. “We’re still very much in rescue mode. 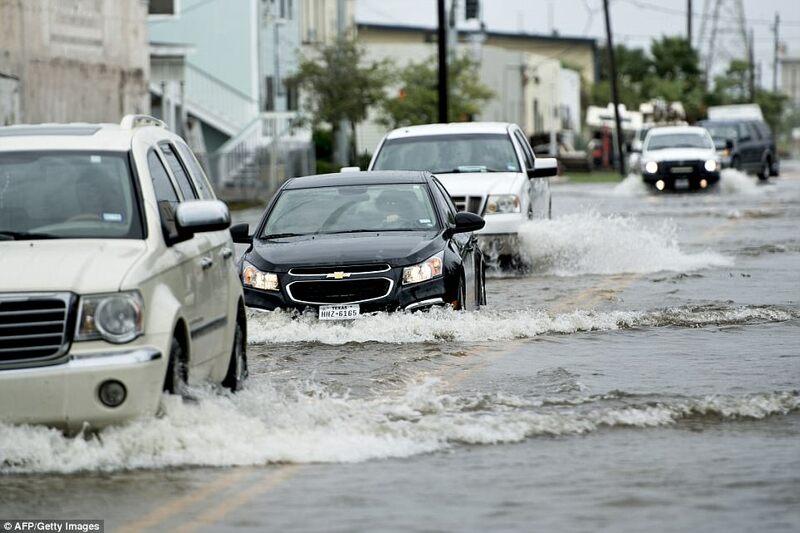 Between Saturday and Sunday morning, Houston and Galveston received about two feet of measured rainfall, the National Weather Service said. The region is expected to receive up to two more feet of rainfall over the coming days. 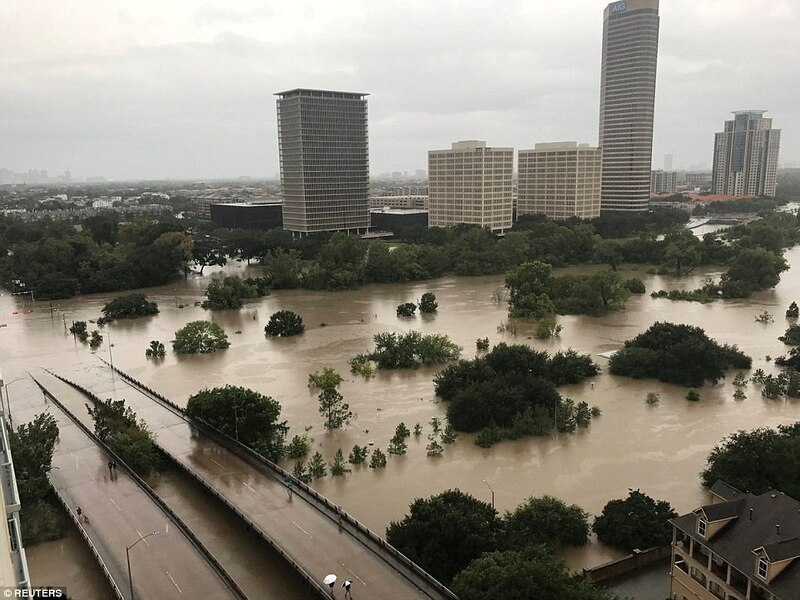 “I know for a fact this is the worst flood Houston has ever experienced,” Patrick Blood, a National Weather Service meteorologist, told the Chronicle. Harris County Judge Ed Emmett told the Chronicle 1,500 to 2,000 high-water rescues had been made by the county since Saturday night. And other county officials said 18 helicopters were rescuing those stranded on rooftops, after residents in flooding areas were urged to seek refuge there. “Reports of people getting into attic to escape floodwater – do not do so unless you have an ax or means to break through onto your roof,” Houston Police Chief Art Acevedo wrote on Twitter. With emergency resources strapped, social media became a channel where pleas for rescue were issued for those trapped by flood waters that are expected to keep rising. The posts gave glimpses of the unfolding crisis and included exact addresses, names and pictures of southeast Texas’ stranded residents. One woman asked for help for a 70-year-old man trapped in a one-story house without an attic on S. Braeswood Boulevard in Houston. Another asked for help for a couple and their two cats in Dickinson, Texas. Yet another asked for help for 10 people, 3 dogs and two cats stuck on a roof in Dickinson. One post about a Houston family, which included a sick child, came with a picture of the people standing on their rain-soaked roof. Authorities asked residents to not make distress calls over social media. Still, CNN reported over a dozen nursing home residents were rescued after a viral picture showed a group of elderly people in a Dickinson facility sitting in waist-high water. 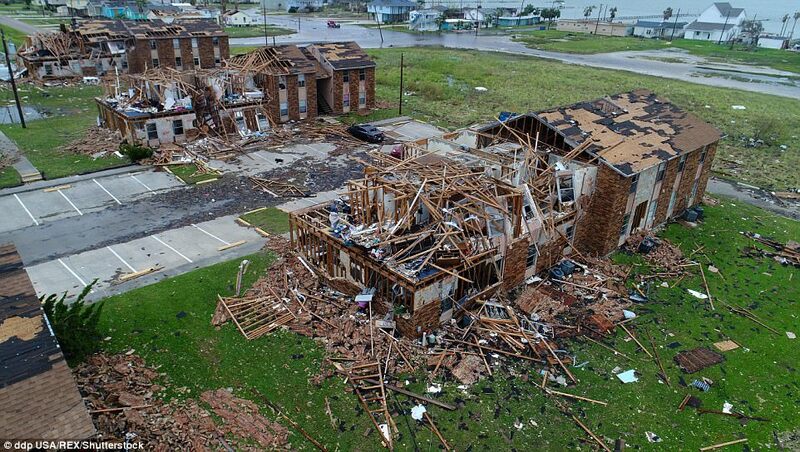 Henry, the Galveston County judge, said in his press conference that Dickinson was the hardest-hit part of the county, and estimated 800 to 1,200 people in the area had been rescued so far. 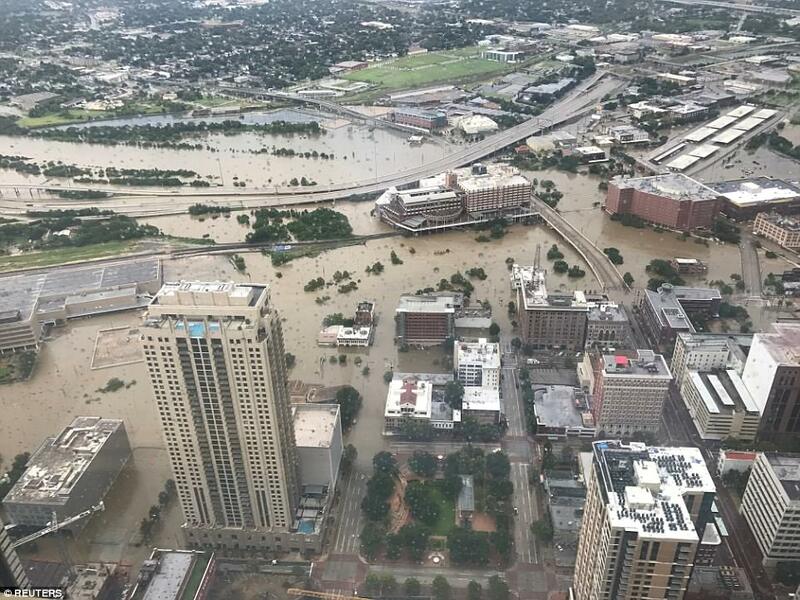 By Sunday afternoon, reports from Houston said Ben Taub Hospital had evacuated patients, major oil refineries temporarily shut down, and airports closed. Local schools announced they would not be open this week. Hundreds have streamed into the city’s downtown convention center, which has been turned into a temporary shelter, the Associated Press reported. 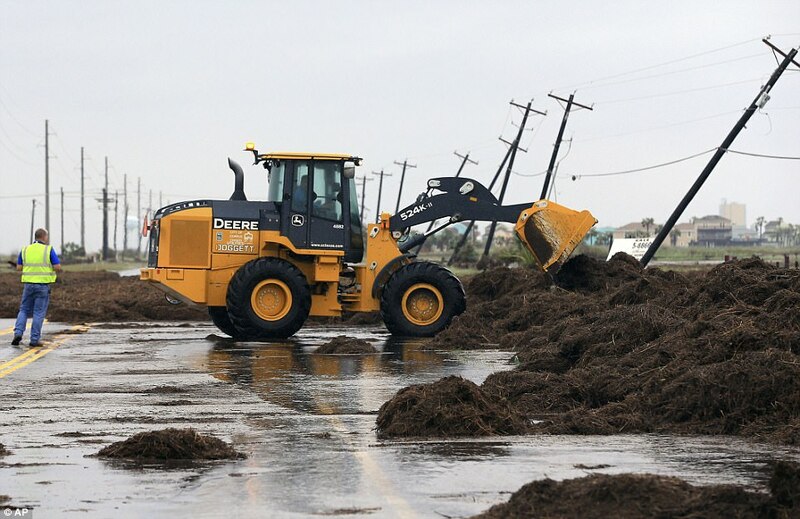 In Corpus Christi, power outages from the storm caused 100,000 gallons of wastewater to be spilled into the La Volla Creek – though a news release from the city said the discharge of untreated sewage does not affect the the city’s drinking water supply. Crews are monitoring and responding to the overflow, the release said. 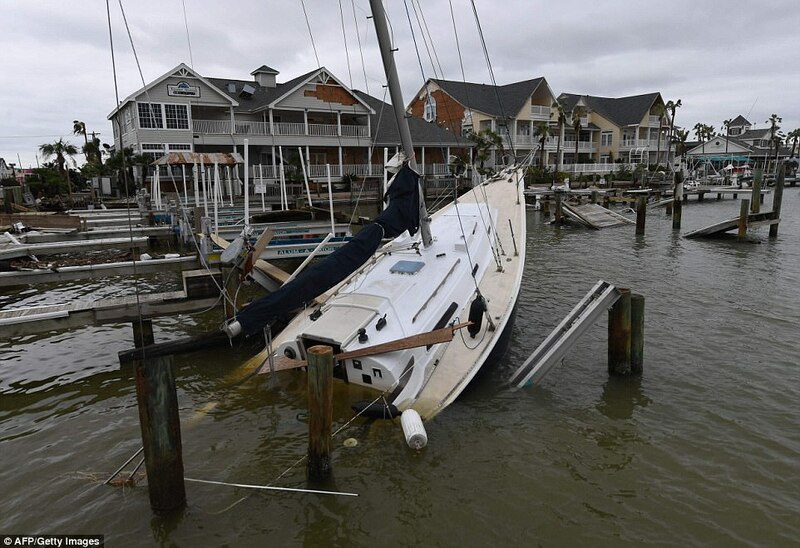 Harvey made landfall late Friday as a Category 4 hurricane that left one person dead in Aransas County and wreaked havoc on buildings along the Texas coast. Over time, as the storm crept inland, its wind speeds diminished and meteorologists downgraded it to a tropical storm. 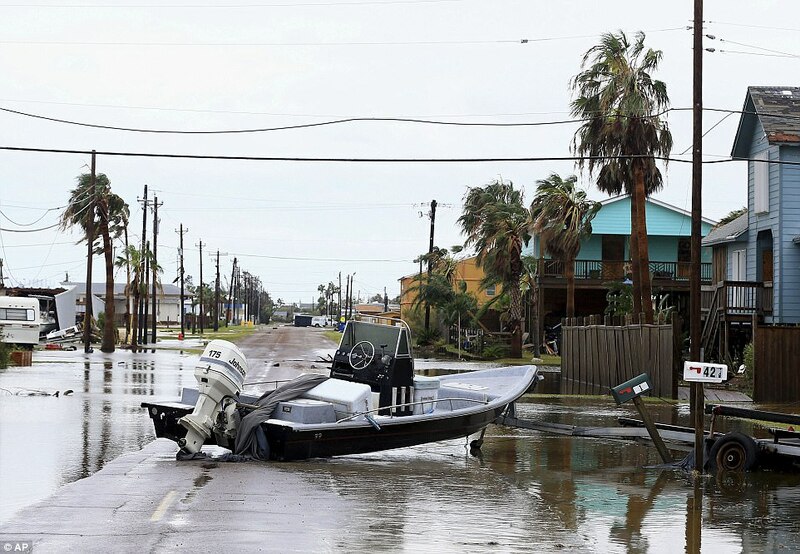 Once inland, the storm slowed to a crawl and dropped hours of torrential rain across southeast Texas, which caused officials to warn of catastrophic flooding for days to come. At a Sunday press conference, Turner defended his earlier advice encouraging Houstonians not to evacuate. Jeff Lindner, a meterologist with the Harris County Flood Control District, said more than half of the county’s 22 watersheds were experiencing “record flooding,” some higher than what was seen during Tropical Storm Allison. Later Sunday afternoon, Gov. Greg Abbott said now was not the time to second guess local officials’ decisions on evacuations. 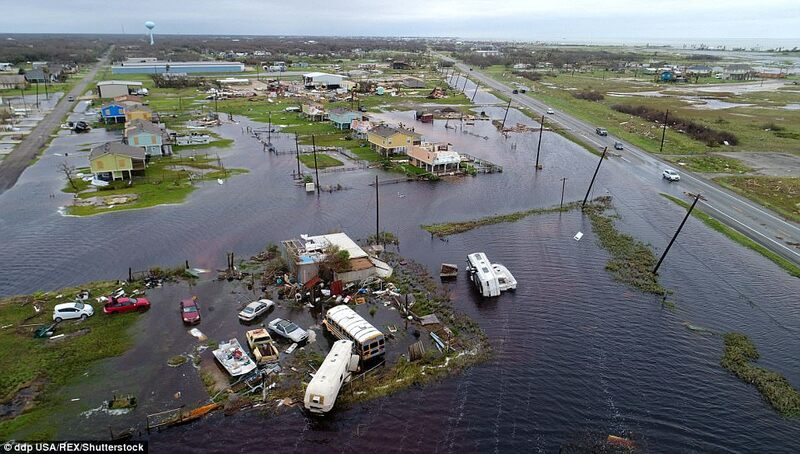 Abbott said 500 officers from the Texas Department of Public Safety had been assigned to the Houston area, and another 3,000 state and national guard members were assisting with search-and-rescue missions in various areas affected by the storm. In Washington D.C., at the FEMA command room near Capitol Hill, nearly 200 federal government workers and military members gathered to strategize the delivery of supplies to the hurricane-wracked region. “I will be going to Texas as soon as that trip can be made without causing disruption. The focus must be life and safety,” Trump tweeted Sunday morning. Harvey slammed into Texas, the heart of the U.S. oil and gas industry, late Friday. It ripped off roofs, snapped trees, and triggered tornadoes and flash floods, and cut power to nearly a quarter of a million people. It also curtailed a large portion of America’s oil and fuel production, prompting price hikes at the pumps. Harvey has since weakened to a tropical storm, but is expected to lash Texas for days as it lumbers inland, bringing as much as 50 inches of rain to some areas, and affecting heavily populated. ‘Rainfall measured in feet rather than inches can certainly create a catastrophic flood,’ spokesman Dennis Feltgen said. 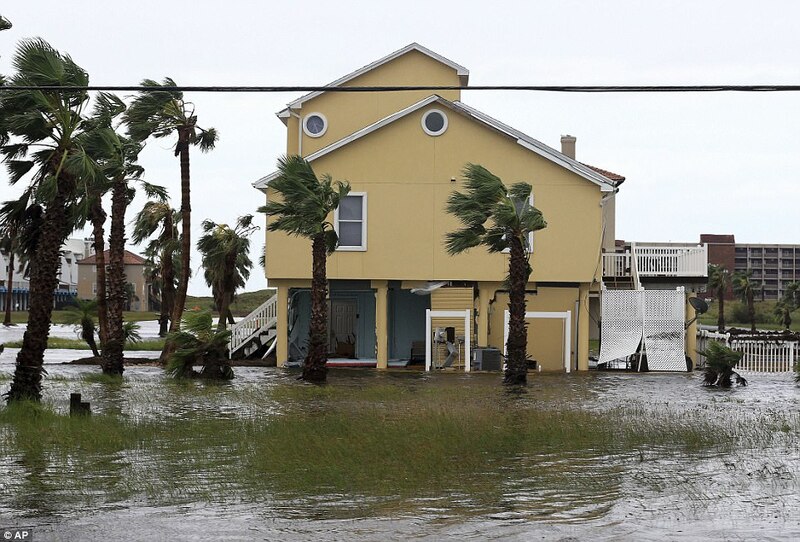 One person died in a house fire in the town of Rockport, 30 miles north of the city of Corpus Christi, as Harvey roared ashore overnight. Mayor Charles Wax said in a news conference on Saturday, marking the first confirmed fatality from the storm. Another dozen people in the area suffered injuries like broken bones, another official said.